Mabel's "My Boy, My Town" was one of the major singles I missed dropping words about last year, but believe me, if I had known about it prior to constructing my annual 'year in review' list, it would've been there. It was the perfect choice for a debut single, introducing the Londonite's soul on ice vibe that hangs out in the coolest corners of '90s R&B and trip-hop and could compliment Jessie Ware nicely if there was a chance for a duet opportunity. Mabel truly has her ear tuned just right to urban couture of the 1990s, and finds herself 'meeting in the middle' of the smoky soul of Brandy and Esthero's midnight grooves on Breath From Another. 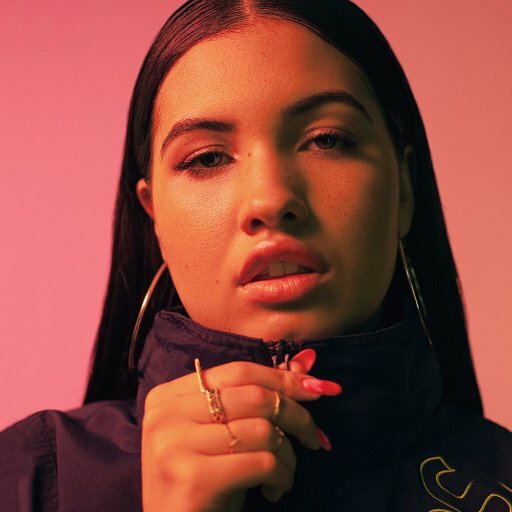 It was this mesh of poetics and attitude that really brought back memories of these acts, and why I'm not surprised that BBC dubbed Mabel as one of their choice picks for 2016. Mabel isn't just urban chica hip for show as she possesses the supreme good fortune of having Neneh "Raw Like Sushi" Cherry and Massive Attack's producer, Cameron McVey as parents, but she has learned well from her innovative folks, as she isn't content with doing just any old throwback sound, as she's keen to know that adding in her own flavor makes for a tastier cuisine. Evidence of this is on her latest single, the breezy "Thinking Of You". As much as the track is a reminder how much '90s music has effected Millenials, "Thinking Of You" retains a little 21st Century edge amid its homages to every 20-something's favorite decade to where its still fresh and 'in the moment'. "Thinking Of You" is also on that summer vibe, so no cruelness you'll experience with the blistering heat as this song is straight up coolant, and with its charming video, it'll getcha thinking about your past summer flings, and maybe get you in the mood to start a new one of your own this year.